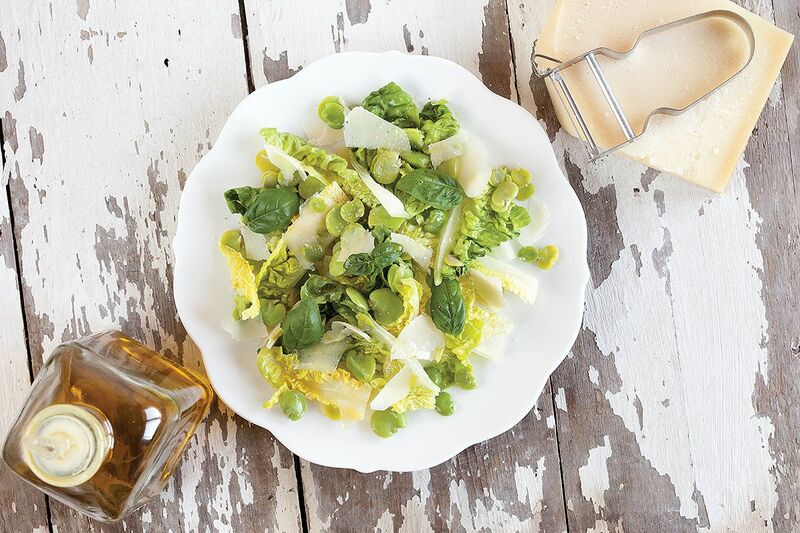 The combination of fresh basil, Parmesan cheese and broad beans salad will definitely amaze you! 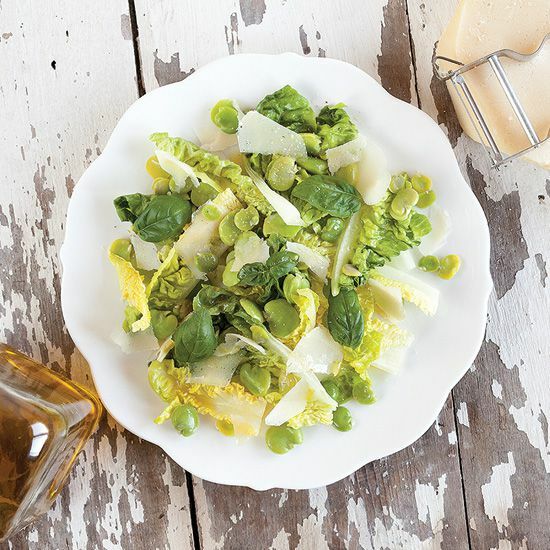 Have you ever tried to double pod your broad beans? REMOVE the beans from the shell. BOIL them in salted water for about 2 to 3 minutes. Immediately place them in cold water to stop the cooking process. Now you can double pod the beans of eat them with the skin on, whichever you prefer. We always remove the skin by gently squeezing the beautiful green beans out of the thick skin. RINSE the lettuce and divide onto the plates. 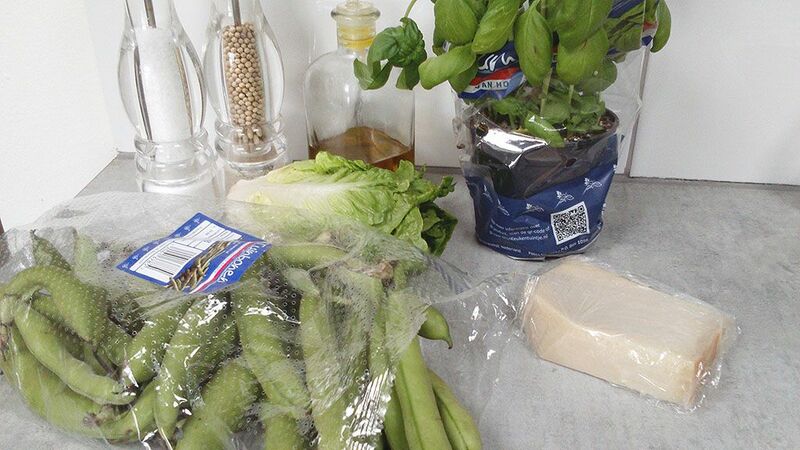 DIVIDE the beans and add some fresh basil leaves. SHAVE the Parmesan cheese and also divide the shavings. DRIZZLE some olive oil on top and season with pepper and salt. That’s really all there is, enjoy this well-balanced salad!